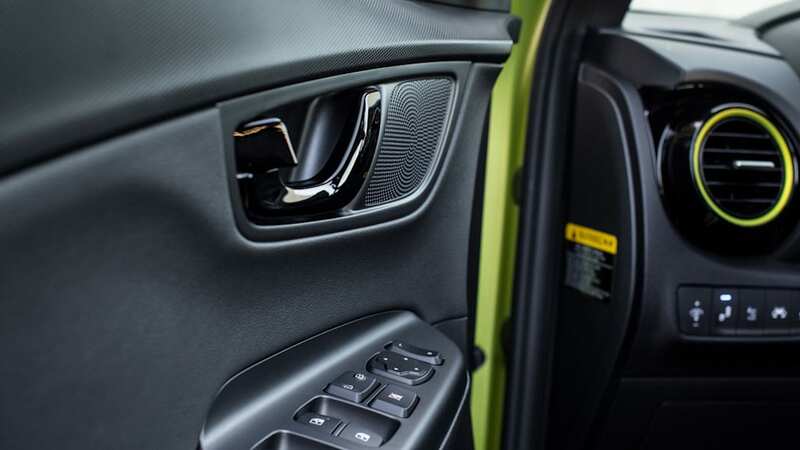 Offers distinctive style, potent powertrains and spry handling, but the cramped, low-rent interior hamstrings this crossover. 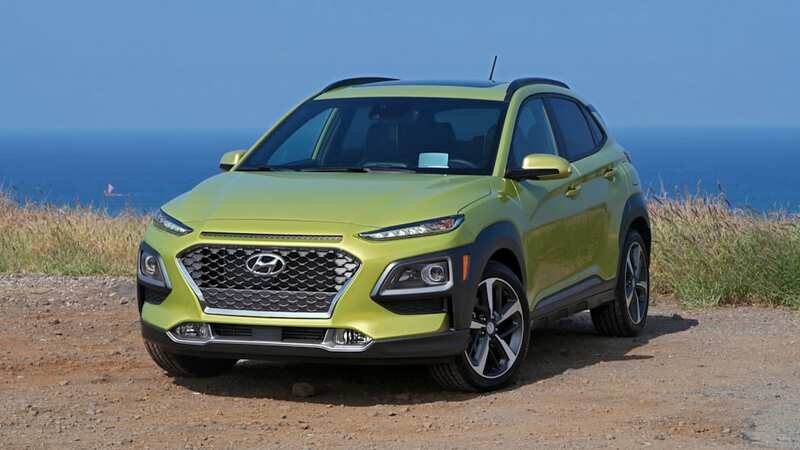 The Hyundai Tucson could be considered a small crossover, but when you park the brand-new 2018 Hyundai Kona next to it, you'll see that the new kid is a full foot shorter than its older sibling. 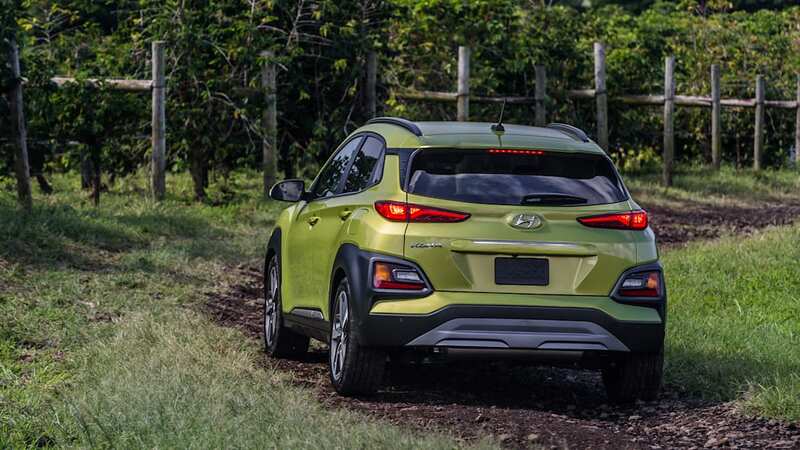 Crucially, though, for right about the same asking price, the Kona boasts a little more cargo space but slightly less rear-seat legroom than a Hyundai Elantra. 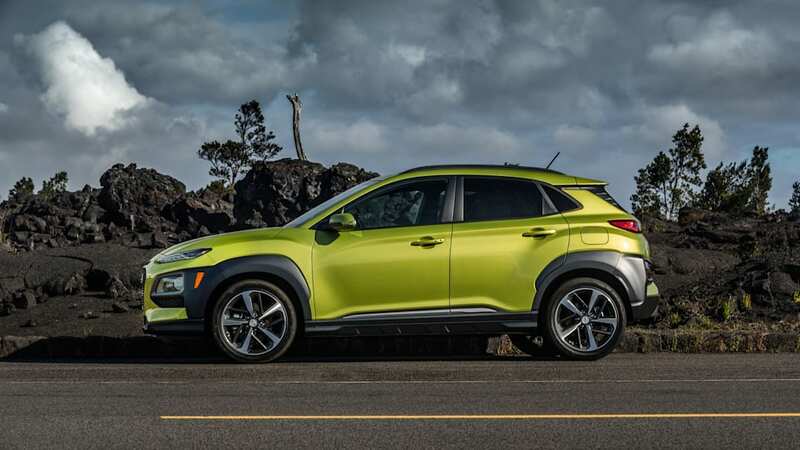 That means a buyer could conceivably compare and contrast the subcompact Kona crossover with the compact Elantra sedan, and decide which shape better suits their needs. 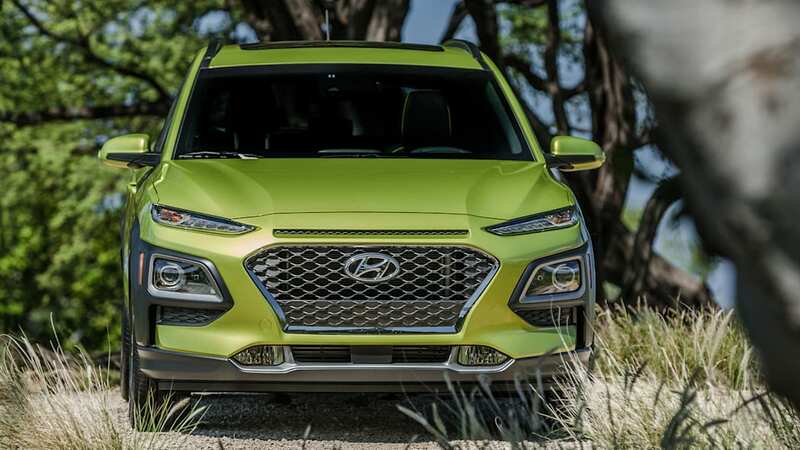 More likely, however, a prospective buyer is going to know before even stepping foot into a dealership that they are interested in the Kona, not the Elantra, because they want the appearance of rugged capability (more than actual rugged capability). 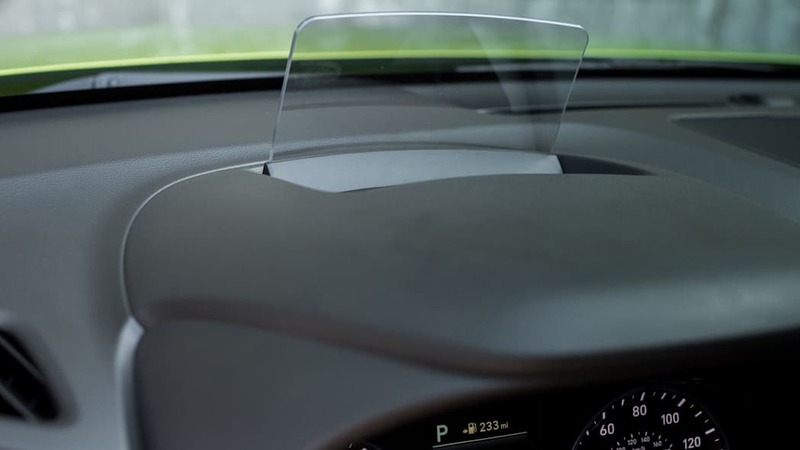 Buyers in this category rank design and style as more important than driving manners or fuel efficiency. 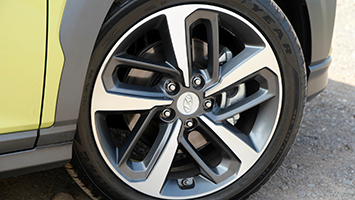 Utility vehicles are perceived as stylish and trendy, so let's talk style. 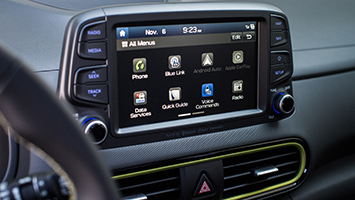 Design is critical in this segment, and that means boringness is a death sentence. 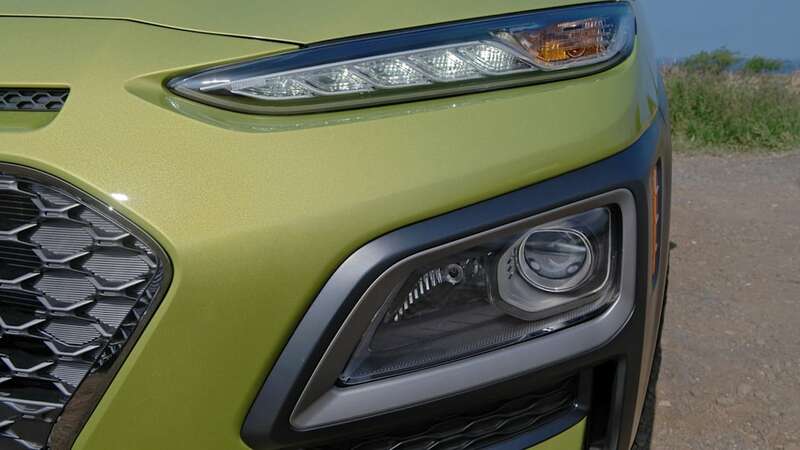 The Kona certainly isn't boring, but it's also a little over the top, especially in the model's trademark Lime Twist bright green hue. 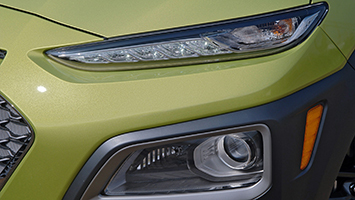 Bright colors accentuates the various textures and finishes of the Kona's helmet-like front fascia. Having a vehicle that stands out from the crowd is a good thing, but we like the Kona better in darker colors. Split lighting units front and rear give the Kona a distinctive appearance, especially after the sun goes down with the lights turned on. 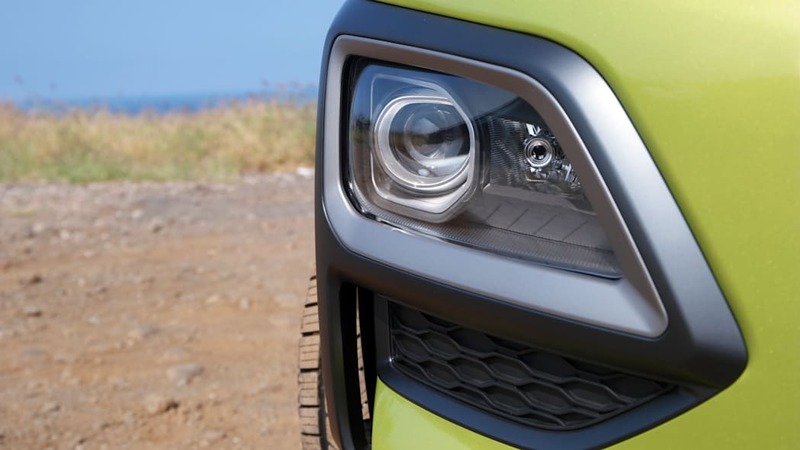 Jeep introduced the split light look on the Cherokee several years ago, controversially – and subsequently the Cherokee has returned to conventional headlights. 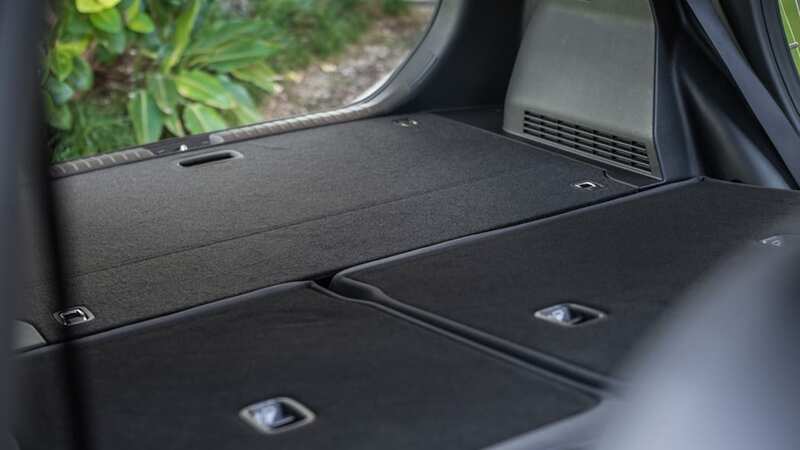 Despite Jeep's backtracking, the design works better for the Kona thanks to more compact proportions. It's also a new vehicle without the baggage and overwrought expectations of Jeep's adoring fanbase. 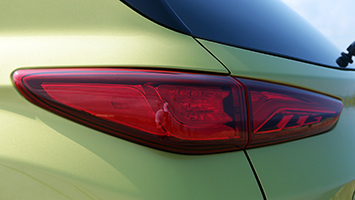 The Kona is strongest in profile. The car's designers say the meandering cut lines that start over the front wheel arches, stutter and restart across the doors, and merge in the rear quarter panels over the blocky plastic moldings, are inspired by the flowing and unpredictable lines of lava. With apologies to Paris Hilton: That's hot. 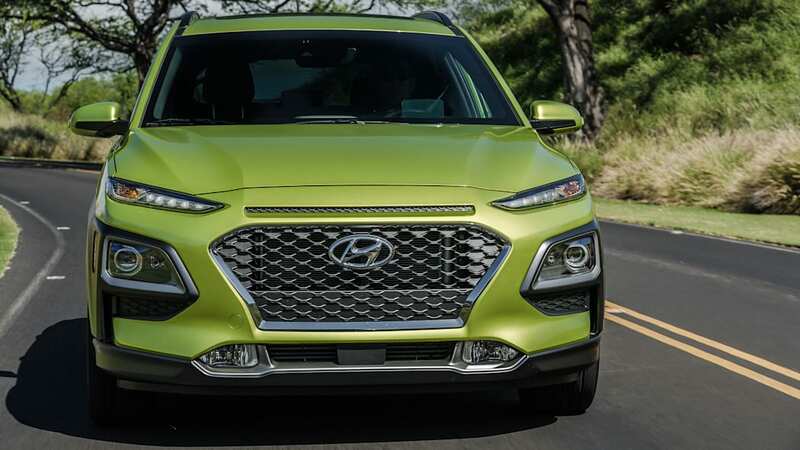 In sharp contrast to the exterior, the interior of the Hyundai Kona is subdued and attractive. 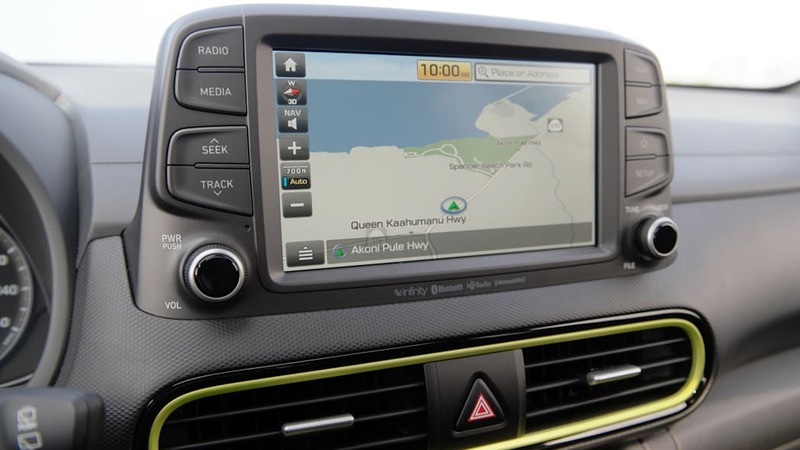 Everything the driver needs is within easy reach, including a standard seven-inch touchscreen infotainment system. 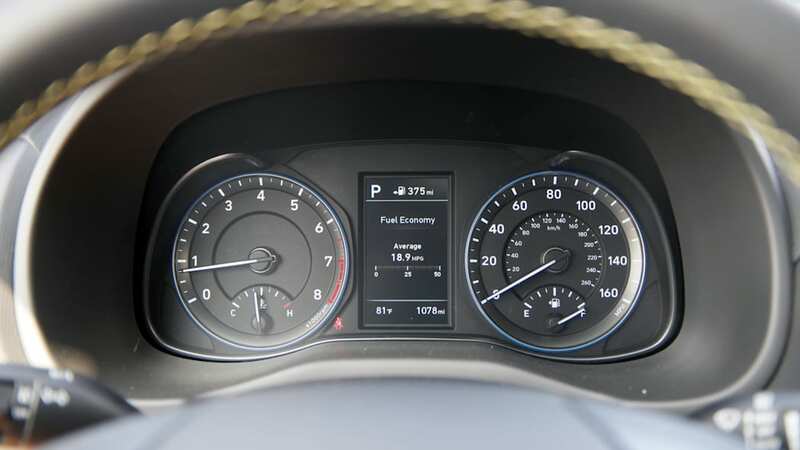 An eight-incher comes on the Ultra trim level, as does a full-color head-up display with a screen that automatically folds up from the steering column. 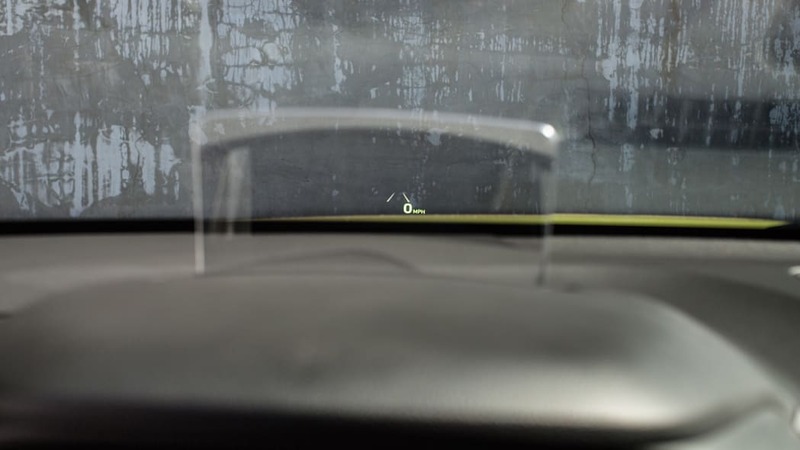 Such a system puts crucial information like speed, navigation and safety system alerts, and audio information directly in the driver's line of sight, and projecting the info on a separate screen reduces the potential cost of windshield replacements for the owner. 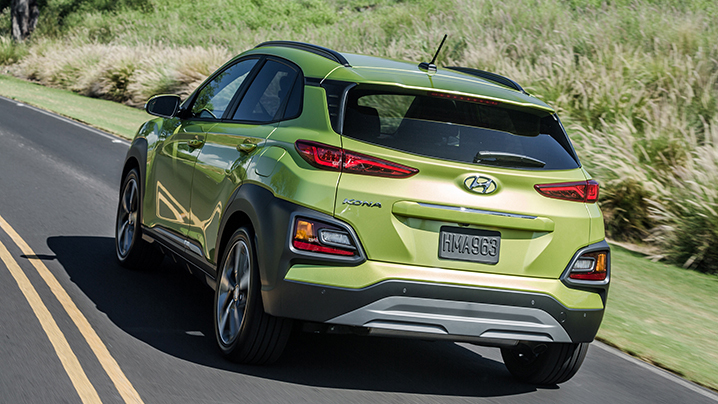 With a total length of 164 inches, the Kona is just over a foot shorter than Hyundai's own Tucson. 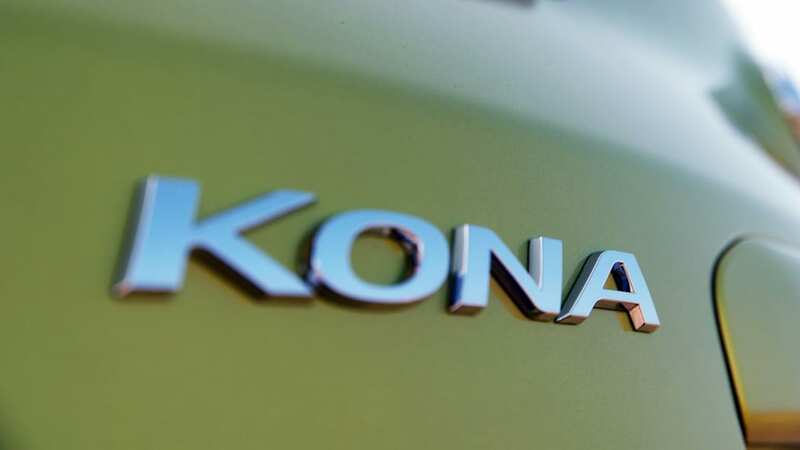 That length, along with a 102.4-inch wheelbase, 70.9-inch width, and 61-inch height, put the Kona roughly on par with its competition. 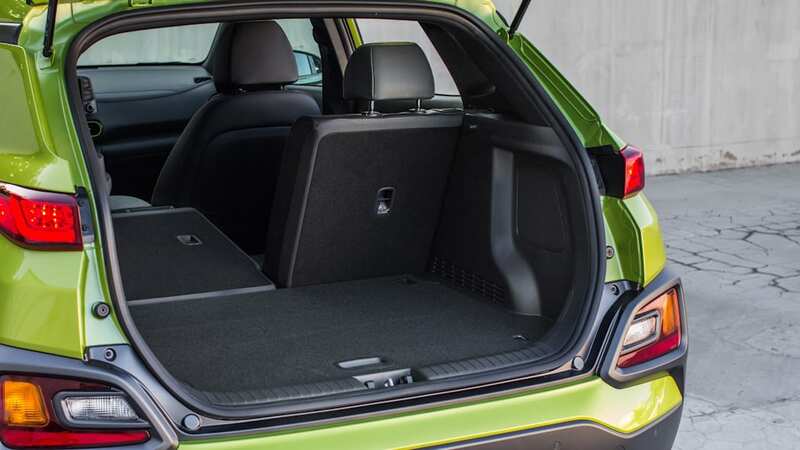 It's a bit smaller in every dimension than the segment sales-leading Subaru Crosstrek. 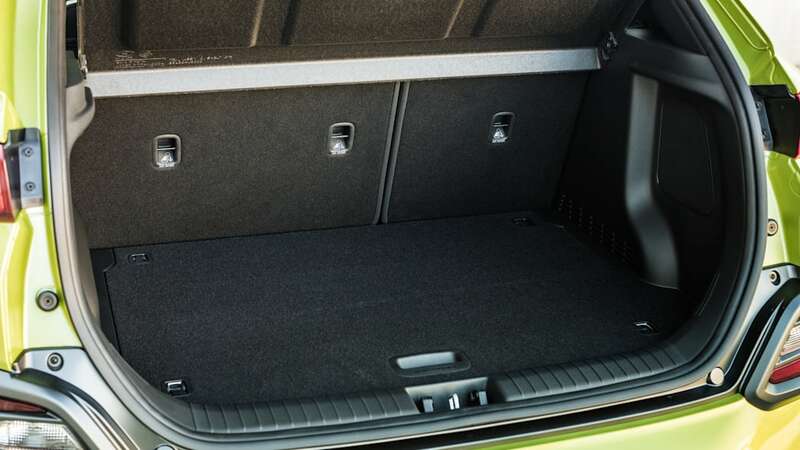 The Kona is a bit smaller inside than the Honda HR-V, which offers quite a bit more rear legroom than the Kona (39.3 inches versus 34.6), but roomier than the Toyota C-HR. 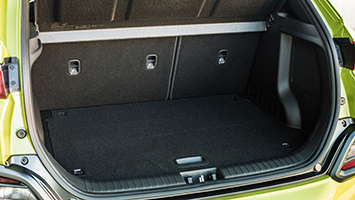 There's 19.2 cubic feet of cargo capacity behind the Kona's rear seats, or as much as 45.8 cu-ft with those seats folded down. 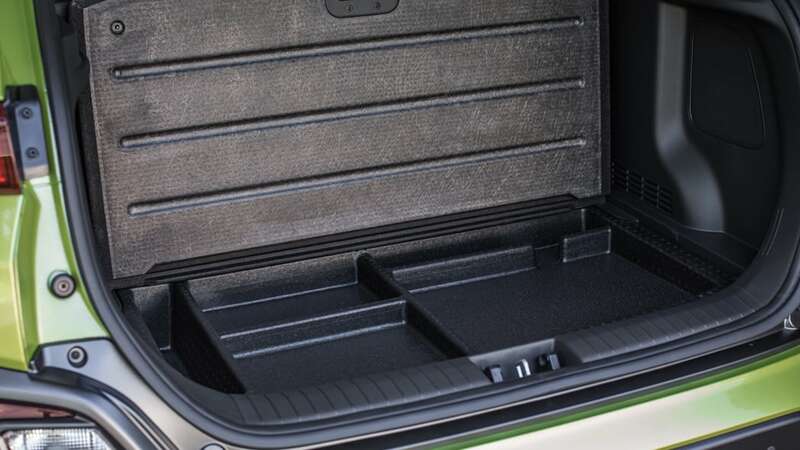 Again, the Honda HR-V leads the segment with 24.3 cu-ft of cargo space, likely by virtue of its five extra inches of total length and "Magic" backseats. 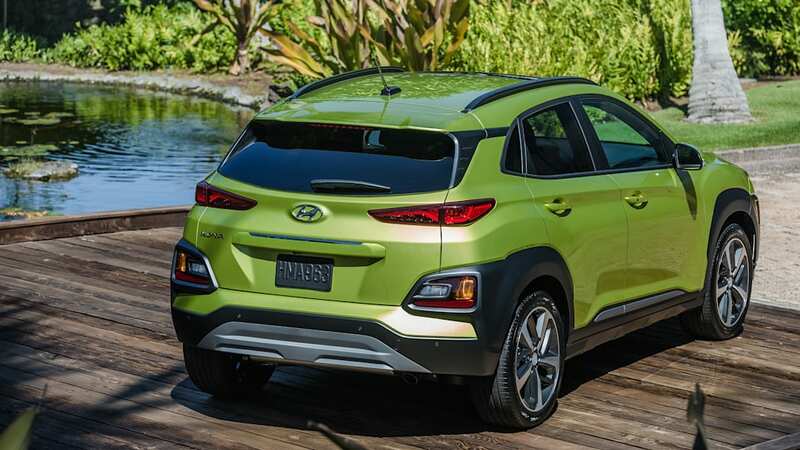 For a modest $1,300 upcharge, the Kona benefits not just from an electronically lockable AWD system, it also gains a multi-link rear suspension system that replaces a standard torsion beam setup at the rear. 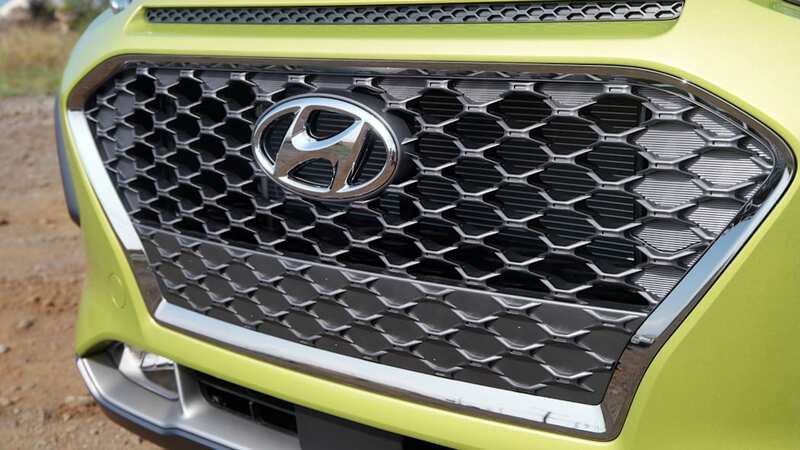 Our expectation is that the multi-link will provide a smoother ride on rough roads, especially with a heavy load, and will handle better over bumpy surfaces. 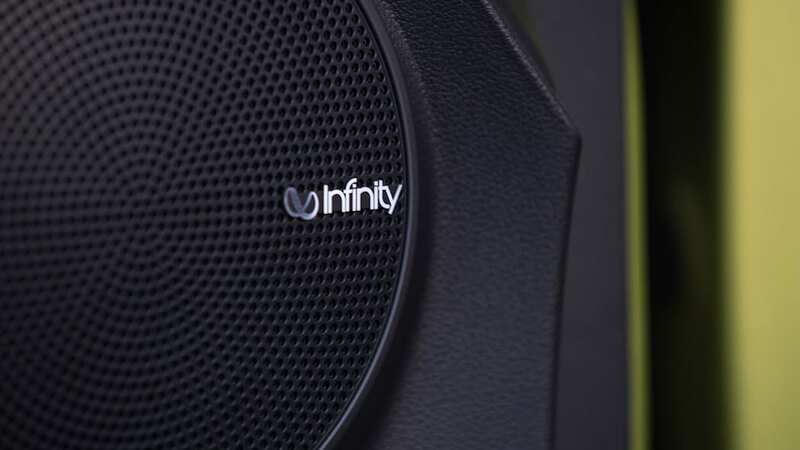 Simply put, a proper multi-link is superior in every way to a torsion beam. 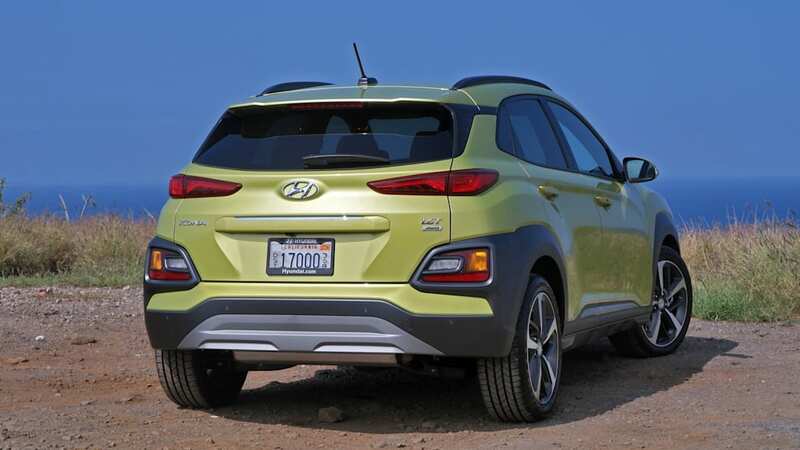 Considering the reasonable cost and greater suspension refinement, we're going to recommend all-wheel-drive Kona models. 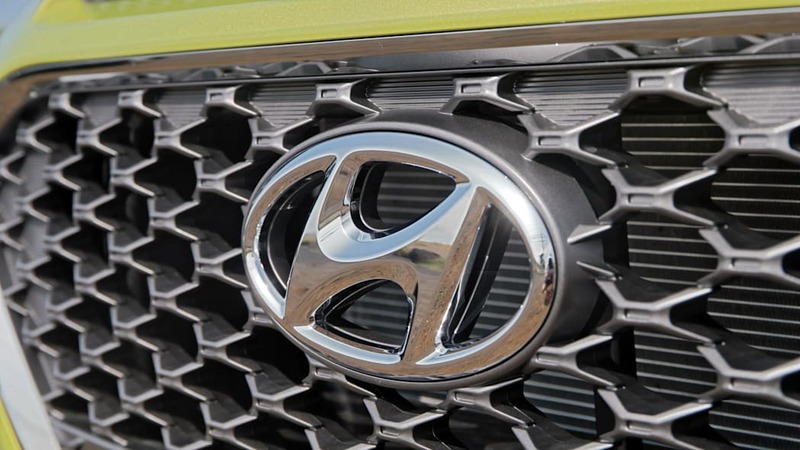 We're also pretty keen on the upgrade from the Kona's standard 2.0-liter inline-four-cylinder engine to the 1.6-liter turbocharged unit that comes on upper-level Limited and Ultimate trim levels. 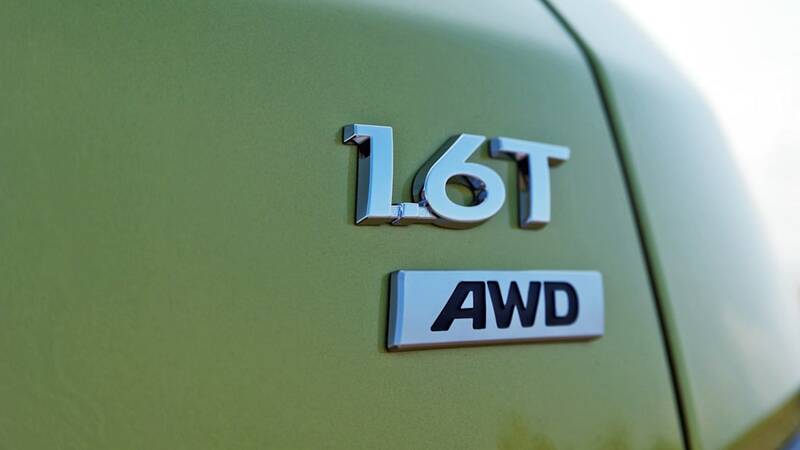 The base engine's 147 horsepower and 132 pound-feet of torque are competitive in the segment. But the turbo mill offers 175 horsepower with such a healthy surge of 195 pound-feet of torque from 1,500 through 4,500 rpm that it morphs the little Kona into a very quick little runabout, especially when the driver manually selects gears to keep the turbo spinning in its happy place in the middle stretches of the tach. 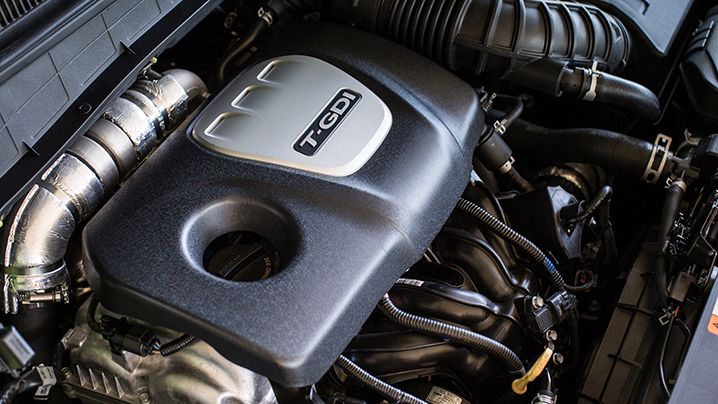 The optional turbocharged engine gives the Kona a leg up on its main competitors. 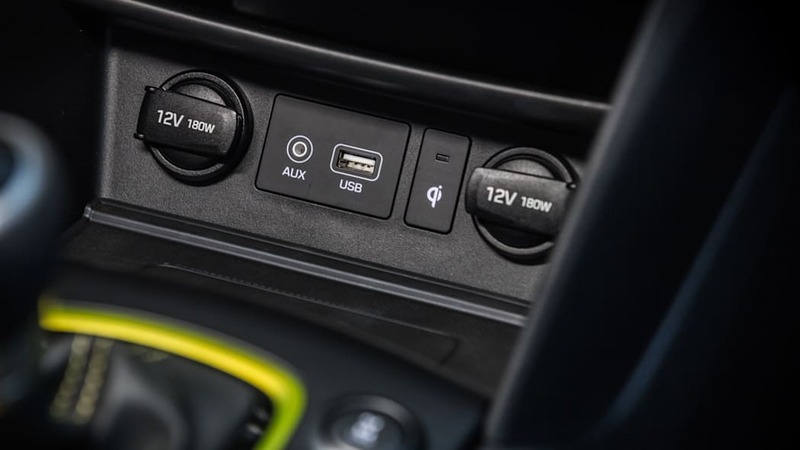 The Honda HR-V's 141 horsepower and 127 pound-feet of torque don't come close, and its CVT transmission saps away most of the fun of the otherwise decent driving dynamics. 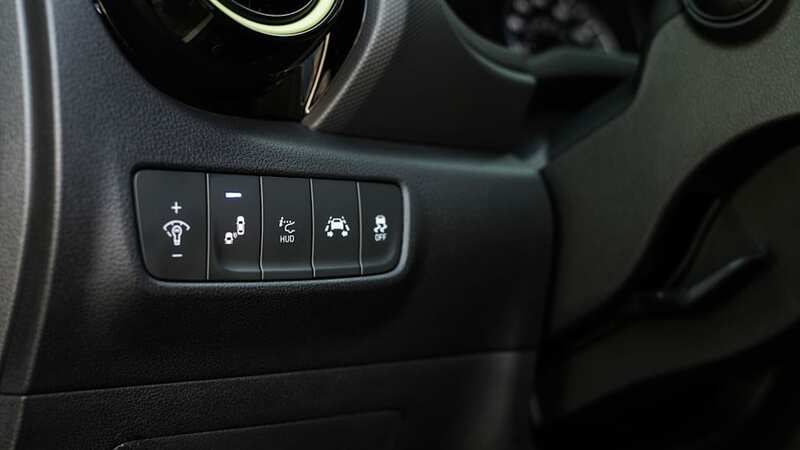 The Subaru Crosstrek's CVT is less obtrusive than Honda's, but still doesn't thrill driving enthusiasts like Hyundai's dual-clutch transmission. 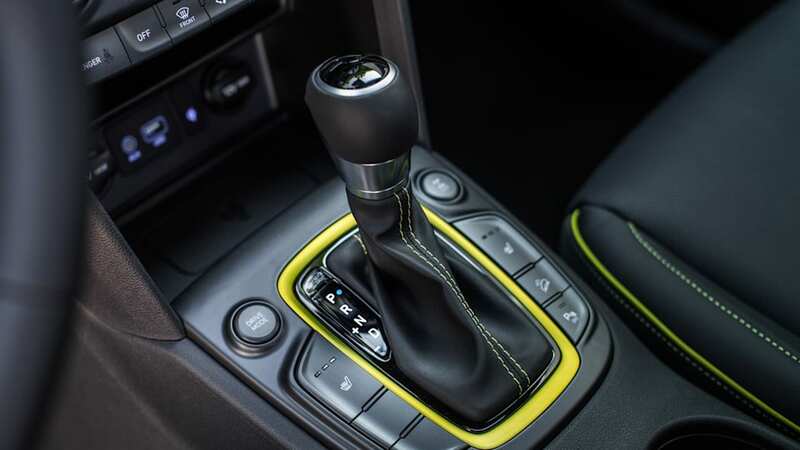 We'd love to see a standard manual gearbox, but the only model in the segment that offers a six-speed stick is the Jeep Renegade. 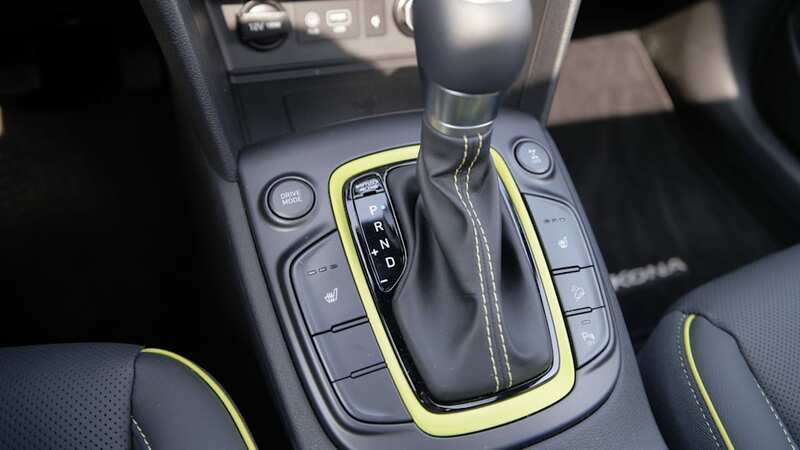 Too bad, but the turbo models' 7-speed dual-clutch transmission is a nice upgrade from the 6-speed slushbox that's standard with the 2.0-liter on SE and SEL trims. All Kona models, regardless of trim, benefit from Torque Vectoring By Braking, which can selectively brake the inside front wheel on front-drive models or the inside rear wheel on AWD models while rounding a corner, reducing the feeling of understeer. As we mentioned earlier, driving dynamics fall below price and style for most small crossover buyers. 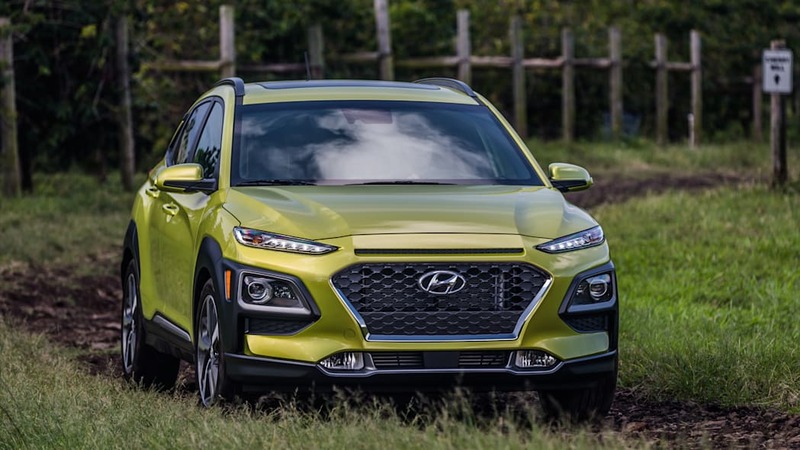 Still, the Hyundai Kona is a pretty nice vehicle to drive enthusiastically. 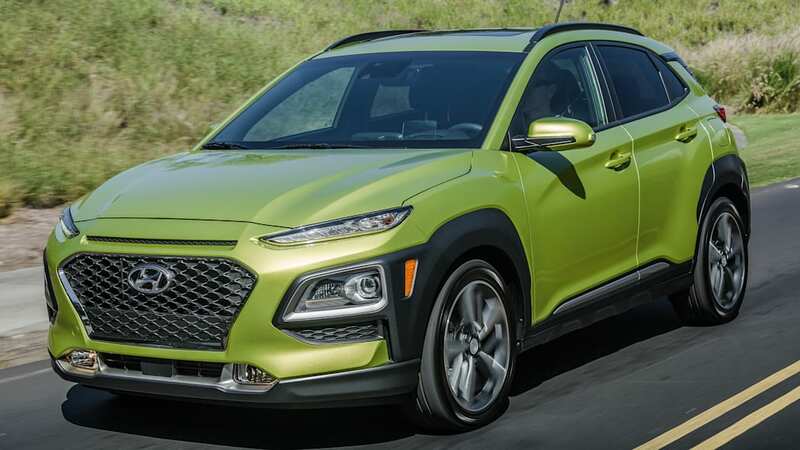 Power from the 1.6-liter turbocharged engine comes on strong in the mid-range, and that rush of torque is a solid reason to choose the Kona over its naturally aspirated competitors. 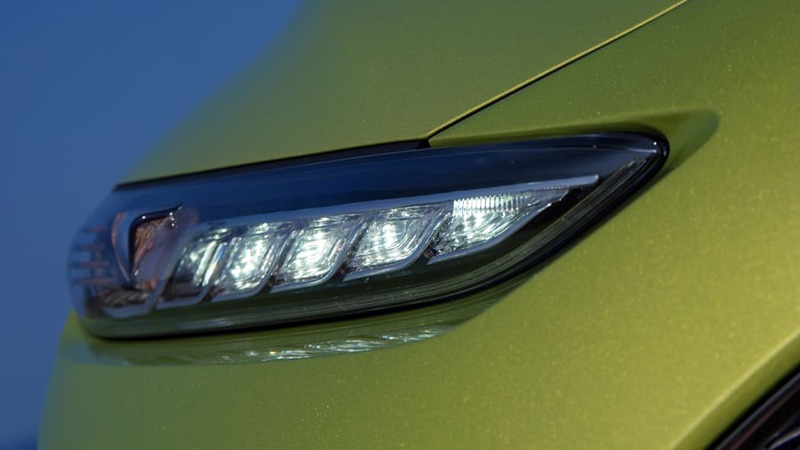 The ride and handling compromise is reasonable, with a smooth but well-controlled ride. 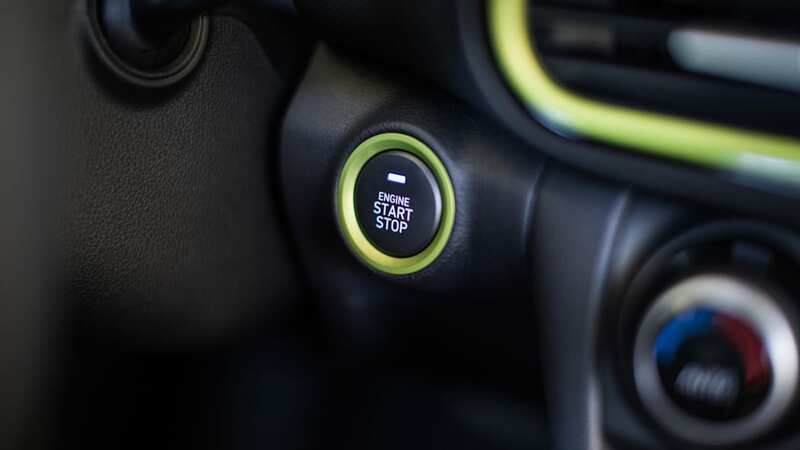 There's a requisite button for Sport mode, but we think that's a little incongruous considering the vehicle's audience and mission statement. 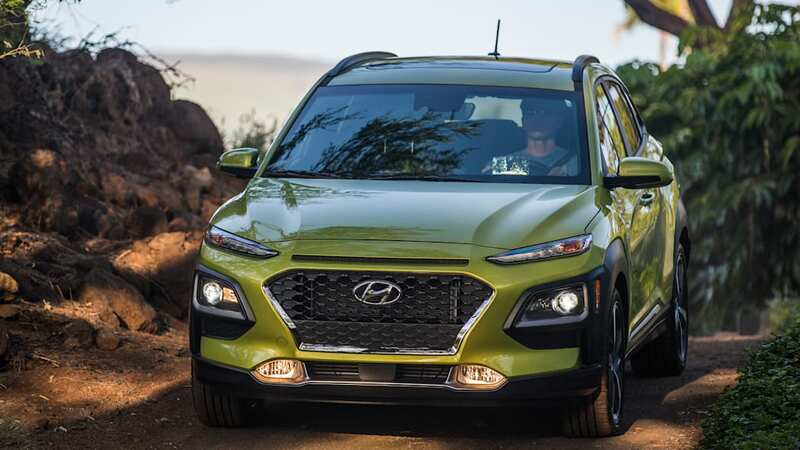 Considering the rapid growth of the small crossover segment in America, it's hard to believe that the Kona is Hyundai's first foray into the market. 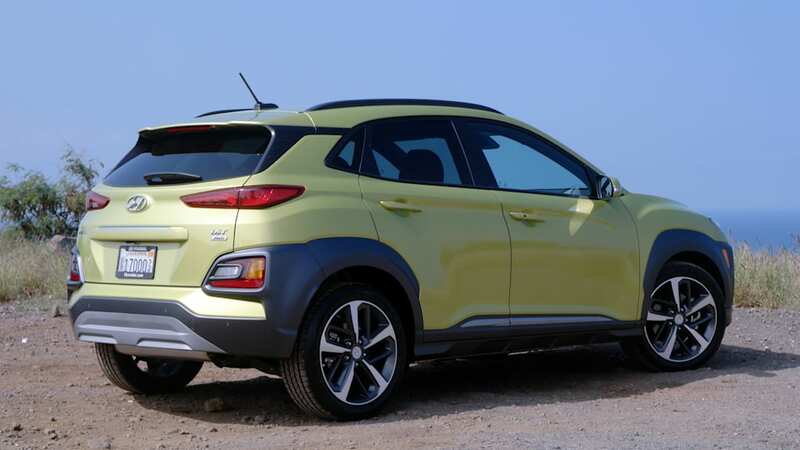 Waiting a few years before diving in allowed Hyundai to get the Kona right the first time. 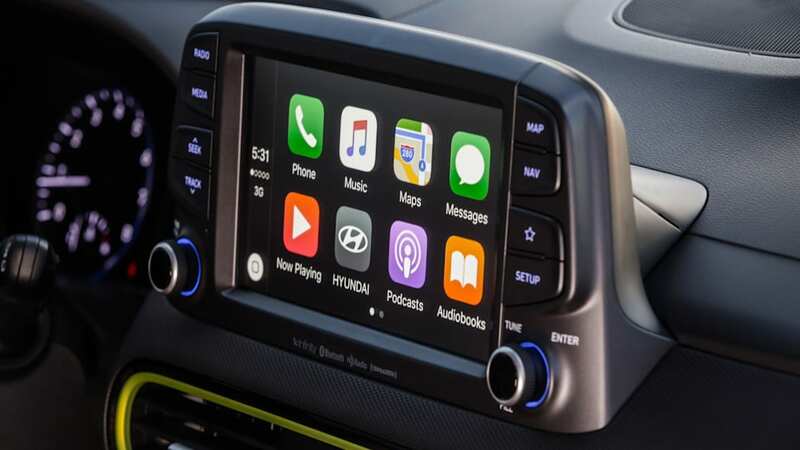 It ticks all the appropriate boxes, with optional all-wheel drive (which the Toyota C-HR and Nissan Kicks lack), standard Android Auto and Apple CarPlay (not available in the Honda HR-V), and available Google Home and Amazon Alexa integration. 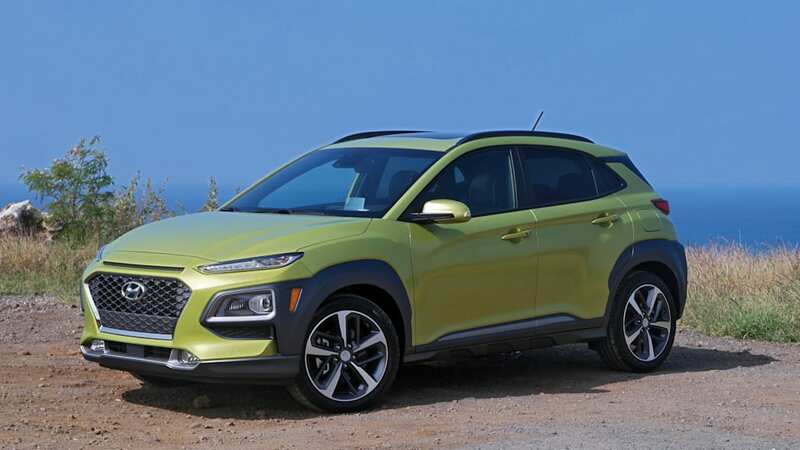 The Kona is going to appeal to style-conscious buyers much more than a comparable Subaru Crosstrek, and its available turbocharged engine, huge list of standard and optional features, and comprehensive suite of safety tech ought to attract a good sum of buyers away from the Honda HR-V. To wit, while Honda offers its LaneWatch system in the HR-V, Hyundai trumps that with blind-spot and rear cross-traffic warnings, forward collision avoidance assist, lane-departure warning, and lane-keeping assist. 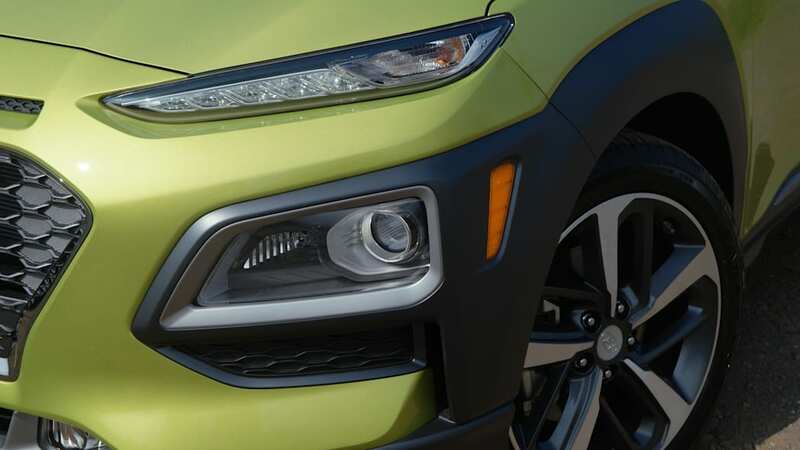 The rapid growth of the small crossover segment indicates that thousands of new-car buyers in America are willing to sacrifice a small amount of efficiency in favor of rugged looks and a rear hatch. 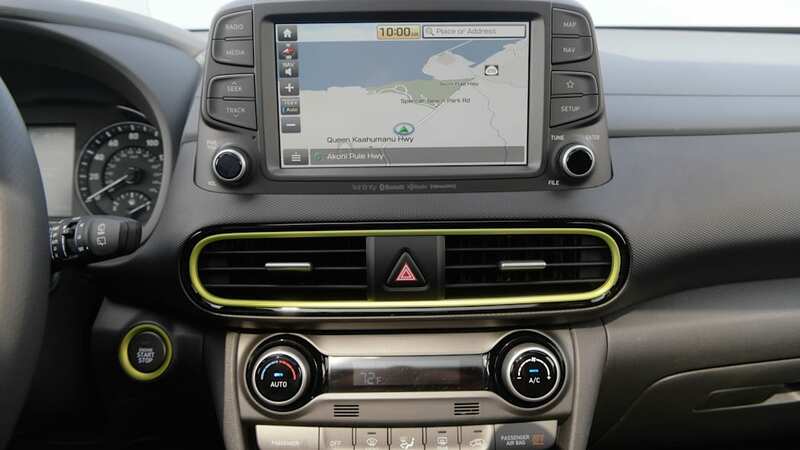 With a starting price of right around $20,000 – or about the same price as a compact sedan like Hyundai's own Elantra – owners can exchange a smidge of rear-seat room and a couple miles per gallon in favor of more cargo space, available (and recommended) all-wheel drive, and a unique sense of style. And buyers are doing exactly that in droves. 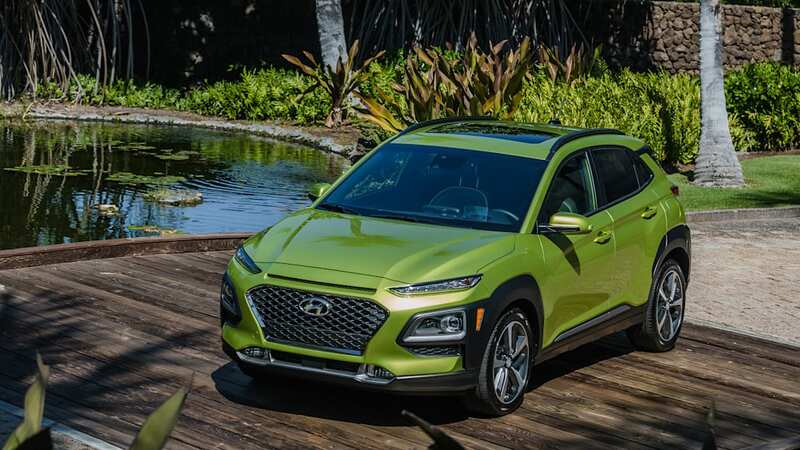 Hyundai desperately needed an entry in this burgeoning segment, but fortunately the Kona is more than that. 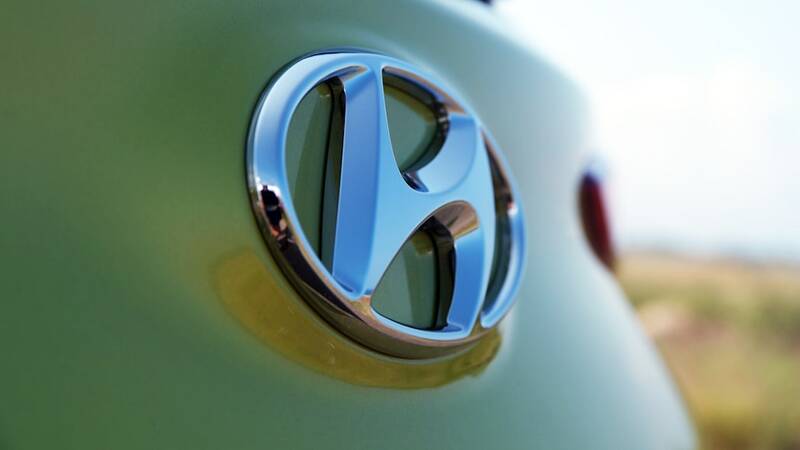 It's is well positioned to not just challenge segment leaders, but to win. 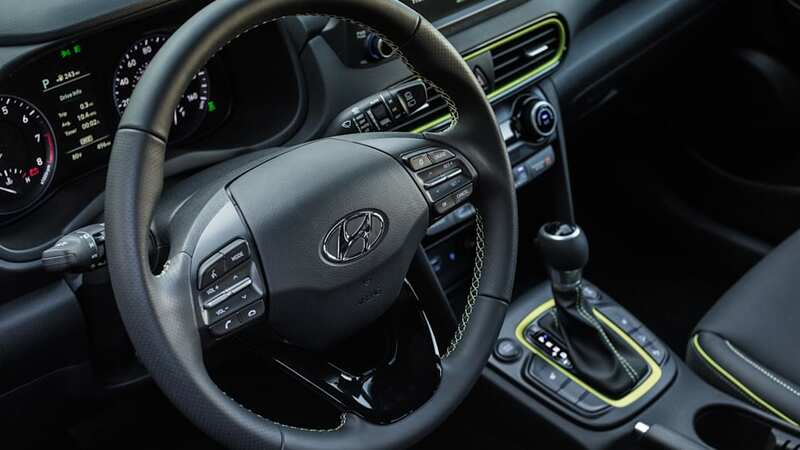 The optional turbo engine and dual-clutch transmission are there to entice enthusiasts, and the standard and optional equipment lists mean there's a Kona for every would-be buyer to consider. 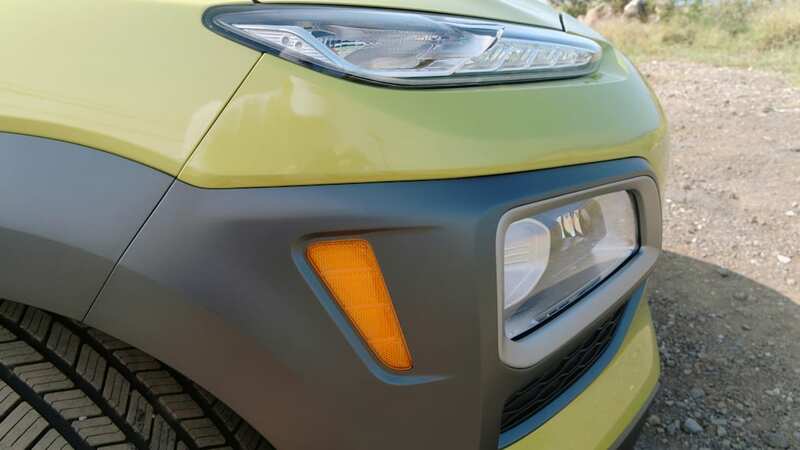 We may not love its face, but we're going to have to get used to it – we have a feeling we're going to be seeing lots of new Konas on roads all across the United States.